With diverse geographical features, West Bengal is a state bound by rich culture, heritage and traditions. The experience with Bengal has always been such that the more you explore the expanse of the state, greater the revelation. Its offering has been immense be it any sphere of research or pleasure travel, the state has it all for the unassumed. A number of civilizations, settlements, invasions and rulers have left their imprints, mark on the history of West Bengal. The flowing Ganga, riverine beach-heads along the Bay of Bengal, the Sunderbans delta, magnificent mountain ranges of Darjeeling offer an unrivaled travel experience. Here are a few places, which you may not want to miss when you are travelling to this unique destination. The very name, Darjeeling ‘the thunderbolt land’ reminds three things... ‘Tea, toy train and of course the more commonly referred term - Queen of Hills’. Known for its picturesque beauty and the panoramic view of the Himalayan ranges, Darjeeling is the most favorite and preferred tourist destination of Bengal. Darjeeling is bound by Bhutan towards the east, Sikkim in the north and Nepal towards the west. Tea accounts as one of the major cultivation in this region and economy of the region is dependent on tea cultivation. With its vast and established tea plantations, Darjeeling along with the other ‘tea major’ - Assam has been a key player even in the international markets. ‘Tea tourism’ is famous activity in Darjeeling. A visit to a tea estate will surprise you as what to goes to the make beloved beverage – they showcase the activities right from how tea is plucked to the end result of what you wake up to simmer in the tea pot. A leisurely stroll in the tea garden is refreshing and is strongly recommended – just do not let it pass by. Darjeeling Himalayan railway is an engineering marvel, a unique feat by the engineers who have managed to lay tracks on the steep slopes of the old mountains. It may have been declared as one of UNESCO’s world heritage sites due to such compelling reasons. A narrow gauge train, often referred as ‘toy train’, runs between New Jalpaiguri and Darjeeling. The train ride offers a breath-taking view of the thick foliage, steep valleys, tea gardens et al as it snakes through the mountains. There are many short trips and services too. Enjoy the ride and be dazzled. In all, this city will entice you with the best of a hill destination, mesmerizing view of Kanchenjunga snow cover, variety in the species of flora and fauna and of course warmth of the hill people. One does not have to painstakingly climb hills or travel miles, to get a magnificent view, all you have to do is just turn your neck... every angle gives you the best shot. This pristine white building 184-ft tall in Kolkata, cannot escape its stark resemblance to Taj Mahal, starting from the material, i.e. white marble, the domes, and the terraces. Even the very purpose of the building being to mark the death of Queen Victoria is akin to the Taj. It is said that the marble was sourced from the very same place where Emperor Shah Jahan had it carved from for his creation. 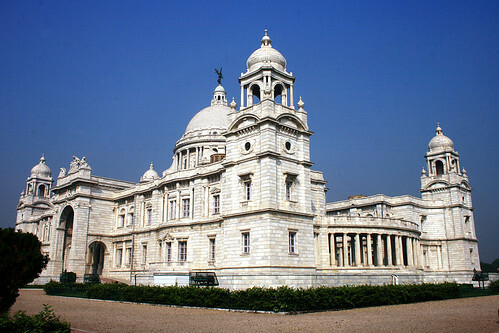 The Victoria Memorial was designed by William Emerson and assisted by Esch, both leading and renowned architects then. The allegorical sculpture groups over the entrances, the gates in the garden and the elegant bridge in the north side adds to the splendid outlook of the memorial. Inside, the ‘central hall’ has a marble statue of the queen and also massive portraits depicting few glimpses from the life of Queen Victoria. An elderly version of the queen made of bronze can be seen on the bridge. The museum gives us a sneak peek in to the history of important people who might have contributed to India. The museum has a well manicured lawn and a beautiful lake within the gates. A lion’s head with water flowing which is then bifurcated in to four symbolizing the four sacred rivers, Ganga, Krishna, Yamuna and Indus. Though it was conceived by an English architect, in remembrance of an English lady, the thread of Indian weave has been drawn all along. This place remains open all through the week for the tourists. Home for the Royal Bengal Tigers, Sundarbans, a semi-submerged mangrove forest, is one of the largest river deltas with an area of 10,000 sq km. This place apart from being famous for tigers is rich and diverse with flora and fauna too. The roots that stretch out of the trees from the water resemble finger like projections. This site is also a UNESCO world heritage site. This place is a Pandora’s Box full of surprises, while on safari or a boat ride, even a slightest movement at the corner of your eye could mean a deer or a tiger; if you are lucky enough you can catch the crocs basking in the sun. This place is a delight for bird watchers or Ornithologists, since it remains a breeding ground for a variety of birds. The best time to visit this place is between September and February. Bishnupur, a town in the district of Bankura around 150 km from Kolkata, is a not only famous for its terracotta temples but also for the rich weaving tradition. This place is dotted with more than a dozen temples spread across the town with most of them dedicated to Lord Krishna. The locally found laterite stones wear used to build these temples. Intricate carvings, defined etchings, accurate and precise geographical patterns speak high about the craftsmanship. These temples reached the pinnacle under the Malla Kings of Bishnupur around the seventeenth century. When at Bishnupur you can shop for exquisite terracotta handicraft and the famous Balucheri tussar silk saris. The very symbol of Kolkata, also known as Rabindranath Setu is the sixth longest bridge of its kind in the world. It is built across the Hooghly River This bridge right in the heart of the city sums up or reels the very essence of Kolkata, the hustling commuters, walking pedestrians, fully laden trucks and curious onlookers. It took almost 7 years for the completion of this bridge. It is said to be the busiest cantilever bridge in the world. This bridge connects Kolkata to its twin city, Howrah. If you want to experience this magnificent structure, you will have to walk through it. As the name sounds, it reflects three personalities, who were freedom fighters and independence activists. These men were victims of British cruelty, having been shot dead by the IG of Prisons on the balconies of the Writers’ building in ‘Dalhousie Square’. The British pride of ‘justice for all’ took a beating, the men were punished unheard. Dalhousie Square in independent India became BBD Bagh. This place is reminiscent of the colonial era with buildings, mansions reflecting the architecture of the Raj. Situated in the Western part of Kolkata and built around the Lal Dighi tank, BBD Bagh sets a magnificent tone to the city itself. It is the seat of power of the State Government. 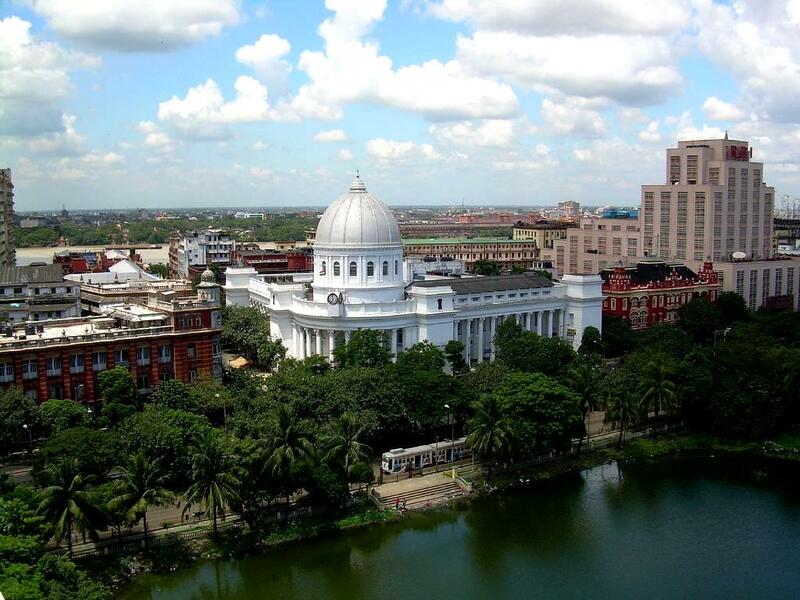 Situated right in the centre of the city, it has many important and expansive buildings, the Bengal Chamber of Commerce and Industry, General Post Office of Kolkata and the Writer’s Building. Also known as the Calcutta Botanical Garden is the largest reserve of its kind in South East Asia. It is situated in Shibpur, Howrah. It flaunts over 12,000 plant species spread over a 109 hectares of area. 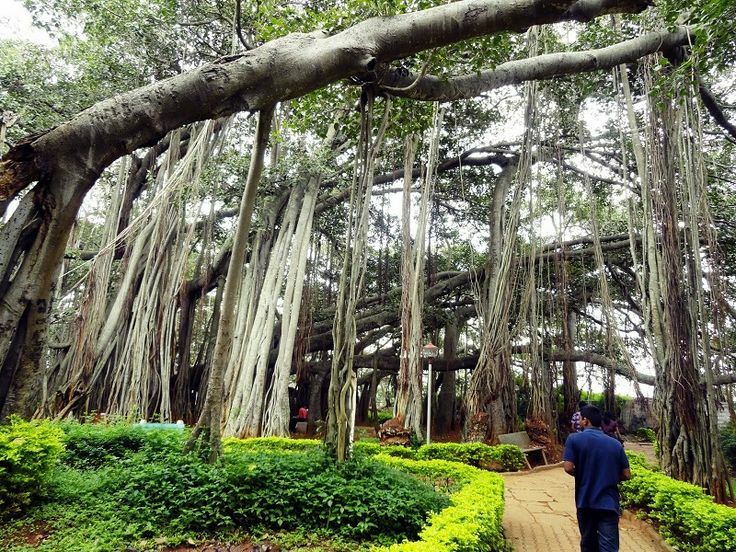 It has rare species of plants and houses the Great Indian Banyan tree, which is almost 300 meters in circumference and around 250 years old. It is also a centre for botanical and horticultural research. It has a beautiful lake where you can enjoy a leisurely boat ride. This vibrant state, land of ‘Mishti Doi’ and ‘Sondesh’, a city that reflects the mood of the people. There seems to be no hurry. The sun can rise whenever it has to but the day begins when the people of the land wish to. Explore this unsurpassed land.